The EUR/USD pair is still consolidating around 1.0615; this structure may be considered as a downside continuation pattern with the target at 1.0555. After reaching it, the instrument may return to 1.0615 to test it from below. All possible correction should be considered as an alternative scenario, which are very unlikely to happen. 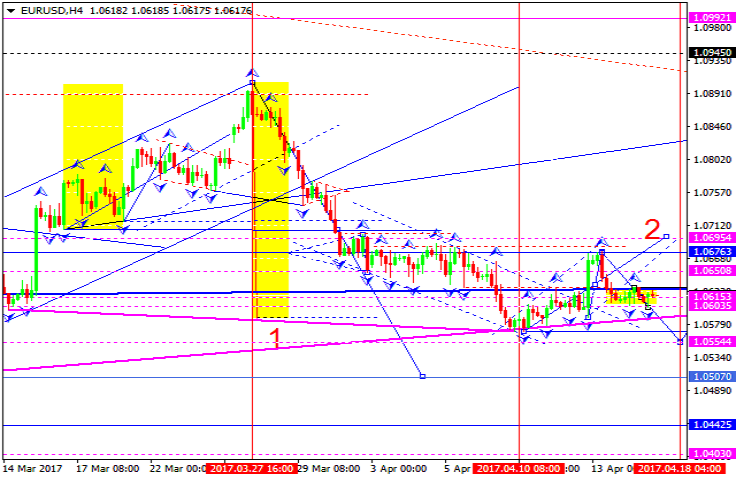 The GBP/USD pair is consolidating around 1.2530. 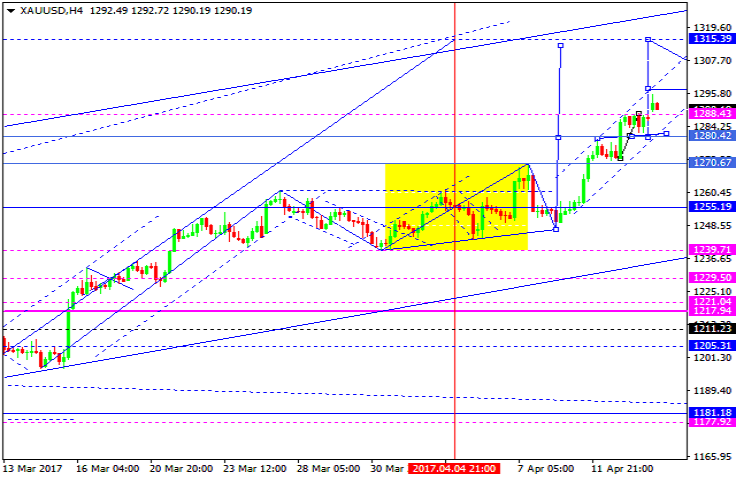 An alternative scenario implies that the price may grow with the target at 1.2565. 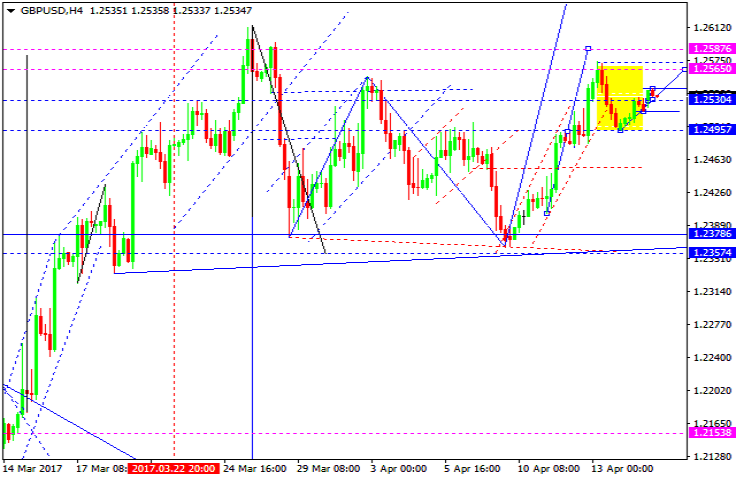 The main scenario suggests that the instrument may continue falling inside the downtrend to reach 1.2450. 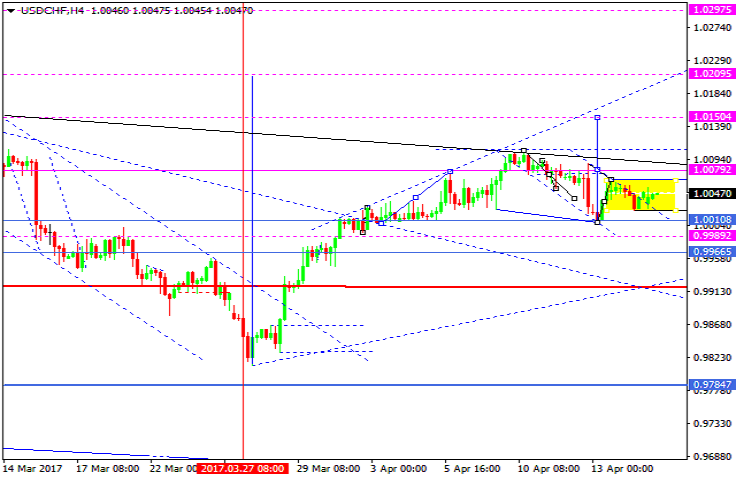 Being under pressure, the USD/CHF pair is moving to break its consolidation range upwards. 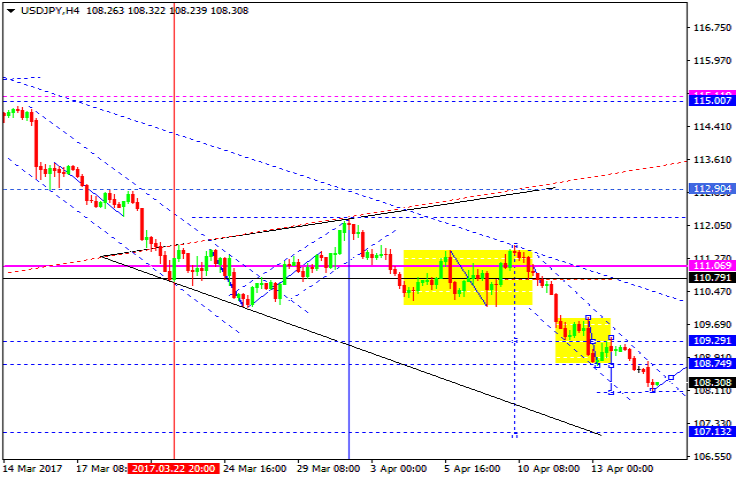 After the price breaks 1.0079, the nest target will be at 1.0150. Being under pressure, the USD/JPY pair is falling. Possibly, today the price may test 108.75 from below. Later, in our opinion, the market may move downwards to reach 107.15. 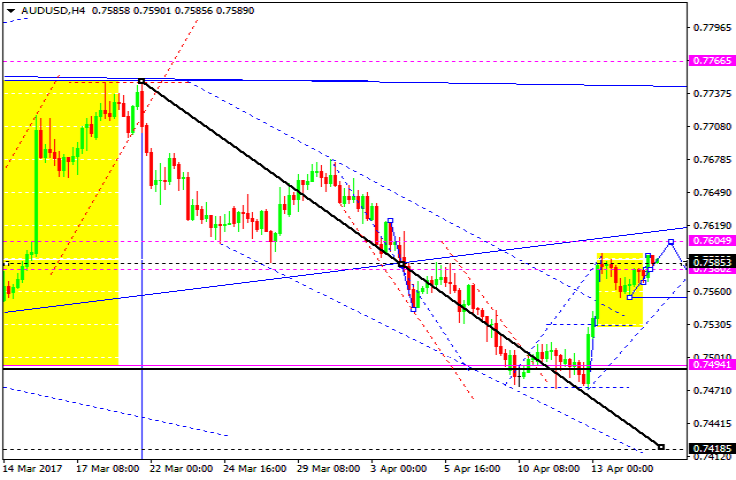 Being under pressure, the AUD/USD pair is growing. Possibly, the price may reach 0.7605. After that, the instrument may continue falling with the target at 0.7500. The USD/RUB pair has reached its local target. Possibly, today the price may be corrected towards 56.55. Later, in our opinion, the market may fall to reach 55.50. Gold has broken its consolidation range to the upside. The main scenario suggests that the market may grow towards the target at 1315. Possibly, today the price may be corrected to reach 1280. After that, the instrument may continue growing with the above-mentioned target. Being under pressure, Brent is trading to the downside. 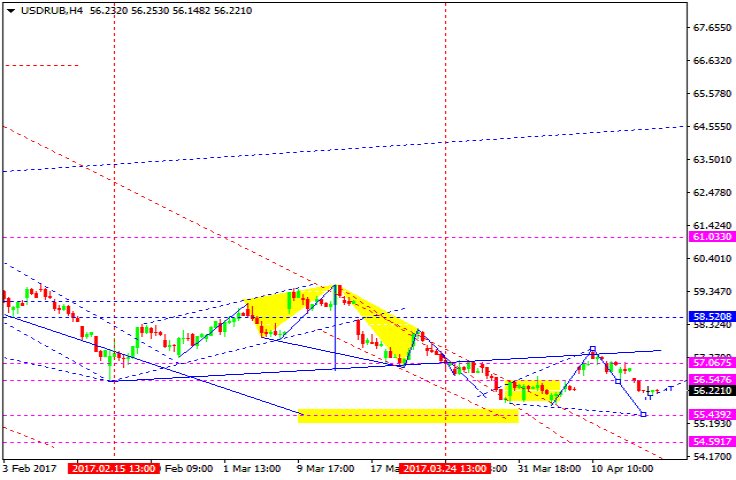 Possibly, the price may be corrected to reach 55.30. 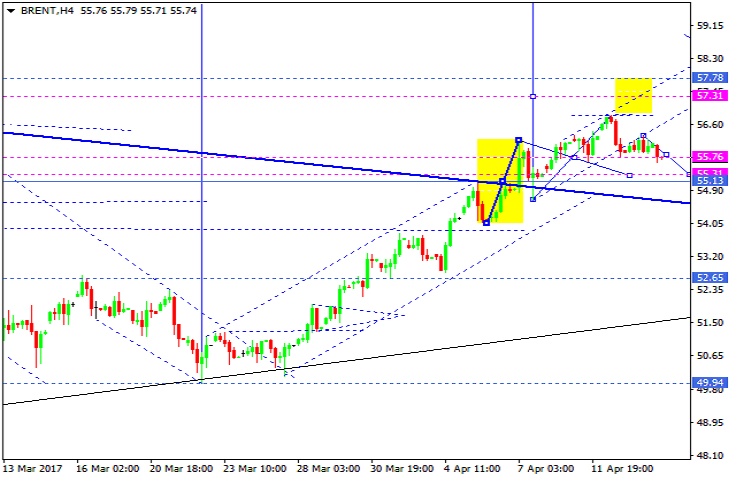 Later, in our opinion, the market may continue moving inside the uptrend towards 57.30.